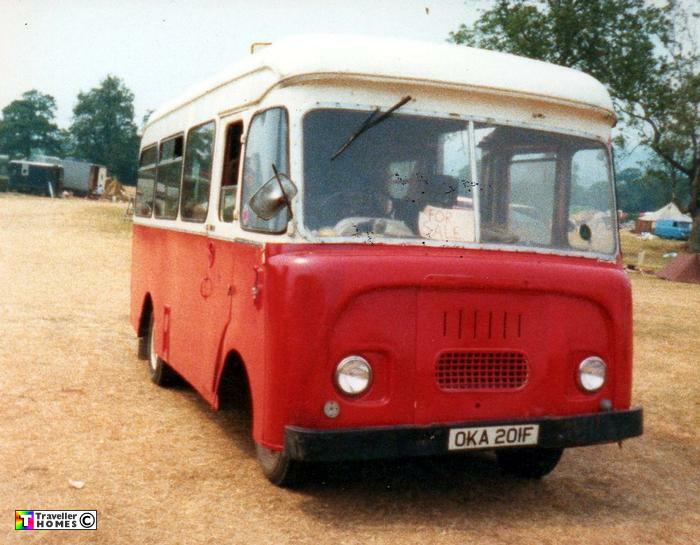 OKA201F (1968) FGK40 . Appleyard (Leeds) B-F. Ex-? Seen 1986 Pilton . Somerset . This petrol bus needed siphon feeding at times ! . It had been a mobile chippy prior to Rob & Co buying it . Now scrapped . Photo = Rob Large .